Windows don’t just bring light to your home, they are also a very important energy booster in your life. Windows, in the right place bring positive energy in your life. People say that the eyes are the windows of the soul, and according to Feng Shui, windows are the eyes of your life. They are very important for good Feng Shui energy flow in your home. Simply said, the relation between your door and windows define the flow of energy, because the function of the door and the windows is to channel light and energy. You need a few tips if you want to make a house with good Feng Shui energy. Their size and shape is very important, just like the color of the curtains, blinds, the mechanism of the opening and closing of the windows, according to which side of the world they are turned. It is best that windows face East, so fresh morning light enters your home. 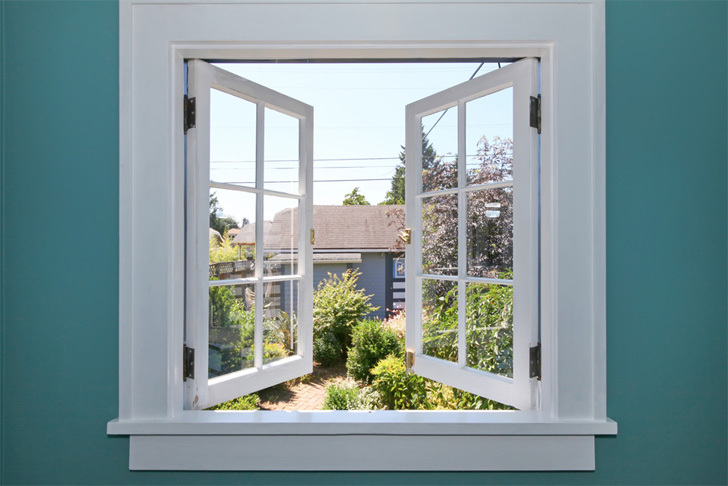 This website home-remodelling.net advises that you choose only high quality windows, that will keep negative energy out and secure safety to your family. Today they are very modern, often big glass panels, that take most of your windows. But, Feng Shui doesn’t recommend too big windows in your home, but neither too small ones. It is ideal to put three windows for one entrance door. Windows should be outfitted by thick drapes and quality curtains. Avoid using plastic rings for curtains. Use curtains that cover windows and are long enough that they touch the floor. Always keep your curtains clean, so the Chi can freely enter your home. Match your curtains to the seasons, because it changes the mood of the Chi energy. Use warm colors for winter days and bright, light colors for spring and summer. Choose from http://www.biopolymerics.org shades of green on spring, shades of red, orange and pink on summer, white, gray and metallic on fall and blue for winter days. If your life space is weekly lit, without enough sun light, make the space better by using mirrors. Mirrors are very important according to Feng Shui principles. From a Feng Shui point of view, it is best to avoid too much windows in the back of the house, because it weakens energy. The support of the house is very important for the strength and power of the nurturing of your home and too much windows in the back of the house will weaken the power and energy of the house. If you apply these Feng Shui principles on windows and curtains, you will secure a good flow of positive energy. Still, don’t forget to add your personal choice, together with Feng Shui remedies. Add a touch of your person in the environment, and you will feel much more full. Visit at www.BuildGreenAtlantic.org to create a beautiful combination of your taste and Feng Shui principles in your perfect home.